Looking for an exotic destination this spring? We highly recommend a visit to Quito, Ecuador. After all, what could be more exotic than stunning vistas from 9,000 feet, standing in two hemispheres at one time — and eating some of the most glorious chocolate in the world? Ecuador is a great spring and summer travel destination. Quito’s high altitude keeps the air surprisingly cool for being at the equator. It has a population of 2.6 million people (at last census), making it Ecuador’s second largest city after Guayaquil. Quito is truly at the middle of the world – its latitude is 0-0’-0”. Visit Cuidad Mitad del Mundo, just outside of Quito, which marks the equator. Mitad del Mundo consists of monuments, a small village that has been constructed around the equator site and a quaint museum. You can put one foot in both the Southern and Northern Hemispheres at the same time! Quito, the capital of Ecuador is the world’s highest capital at 9,350 feet. To truly appreciate its vistas, take a ride on the Teleférico. 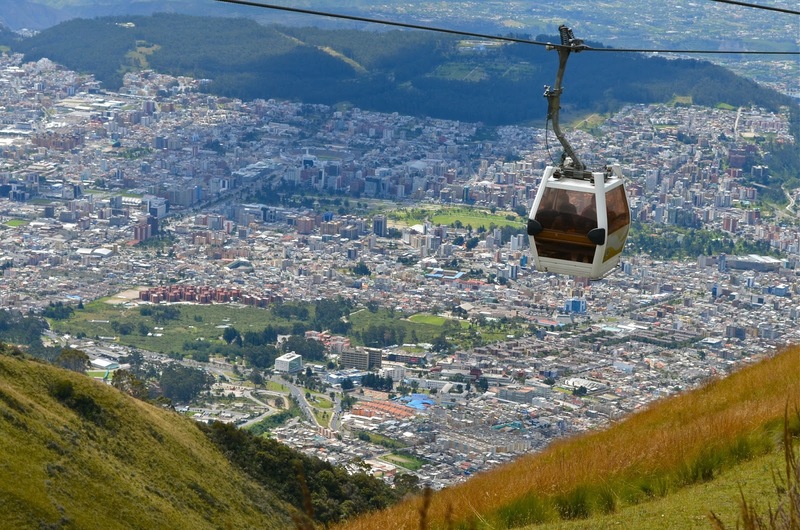 These cable cars, the highest in the world, will reward you with some of the most stunning views – of both Quito and the Andes mountains. For a stunning view without the cable car ride, enjoy a walk (or drive) to El Panecillo hill, where the haloed Virgin Mary de Quito statue overlooks the city. Visit Chocolateria Chez Tiff for some of Quito’s most decadent chocolate temptations. You’ll be treated to an in-depth look into the chocolate making process – from the cultivation, harvest and processing – to producing the finished chocolates. Ecuador produces 60 percent of the world’s premium cacao and is South America’s number one chocolate exporter. Did You Know? Ecuador ran the first ever tourism ad by a foreign country in this year’s Super Bowl. 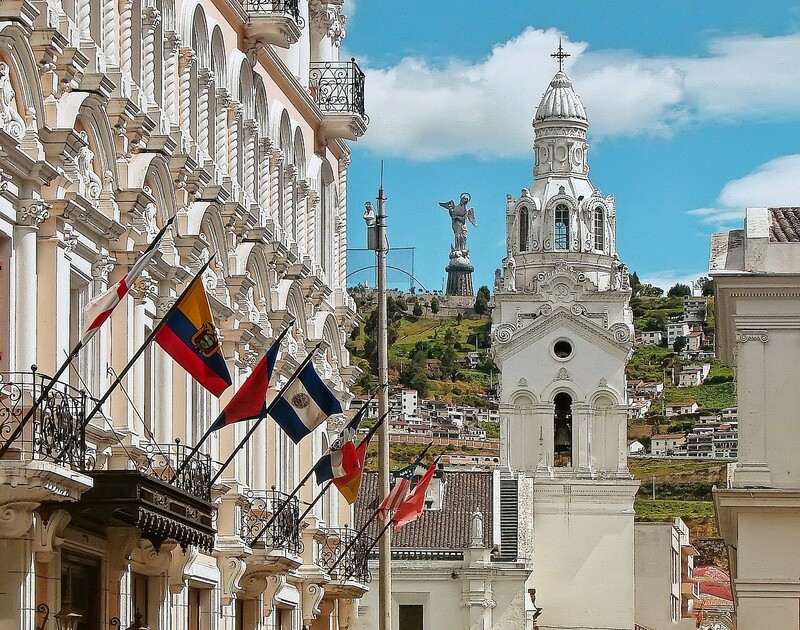 Centro Historico (Old Town) — The colonial architecture of Quito’s Old Town is one of the best-preserved colonial areas in South America and is considered the most beautiful. Quito was the first city to be named a UNESCO World Heritage Site. La Mariscal — For nightlife head to La Mariscal district where you’ll find plenty of lively clubs, bars, restaurants, and boutiques all within walking distance. Casa Gangotena — Casa Gangotena’s 1920s mansion is one of South America’s most stylish boutique hotels. Even if you don’t stay here, the rooftop deck with volcano and cathedral views – and llama spring rolls on its Ecuadoran menu – make the Casa worth a visit. Mercado Artesanal — To purchase a Panama Hat (which actually originated in Ecuador) or alpaca sweater, head to Mercado Artesanal, where indigenous artists market their handmade wares. 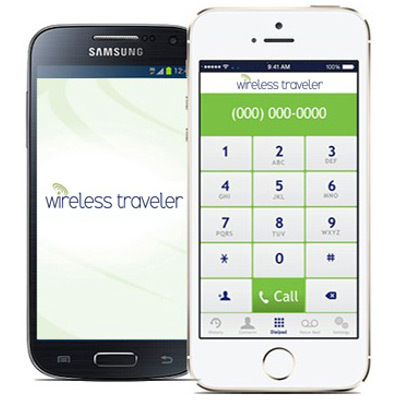 As you wander the streets of Quito, know that you can easily stay connected to everyone in your traveling party with the Wirelesstraveler Wi-fi calling app from Wireless Traveler. Calls are free app to app and it is only 2 cents/minute to call back home to the United States (with a WiFi connection). With the Pocket WiFi hotspot everyone can check their email and social media (up to five devices can connect to the Internet at one time). You guys have nailed it again! I remember Quito while quizzing my cousins in our own version of Guess The Capital games each summer. Being at the very center of the earth, standing in both the Northern and Southern Hemispheres at the same time and to go Chocoholic?? Who wouldn’t want a summer like this?